Nagios is a widespread open-source monitoring tool used for supervising infrastructure, such as servers, network devices etc. It is highly customizable and has a huge community of users worldwide. This guide will not go into depth about Nagios itself. For each device which is to be monitored by Nagios, a host has to be added to the config. Hosts are the main objects within Nagios. 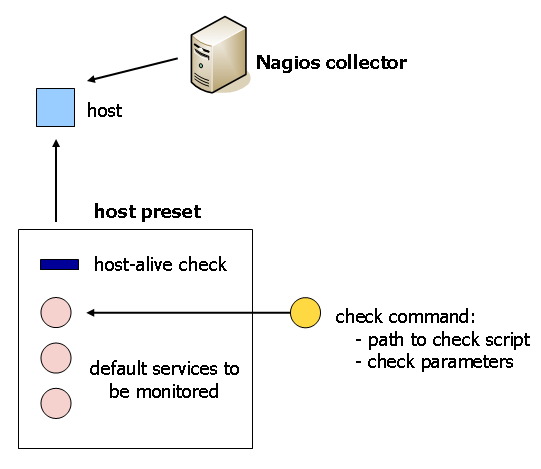 Each host has a host-alive-check, which is a basic check done by Nagios to see if the device is physically reachable (usually a ‘ping’). All additional checks are called services and need to be configured separately, and then assigned to hosts. 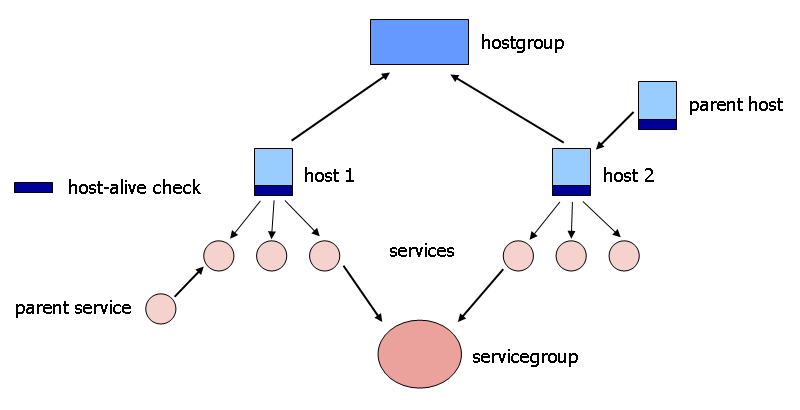 Nagios allows hosts and services to be grouped to hostgroups or servicegroups for a better overview. Nagios also allows hosts and services to have parent-hosts or parent-services. If one of the parents fails, any events triggered by underlying objects will be correlated (e.g. ignored). 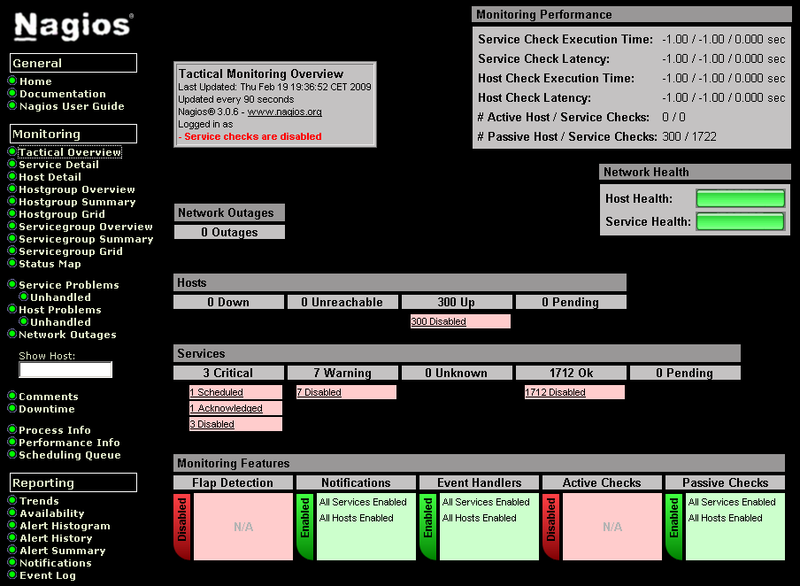 There is a physical limit to the amount of services that one Nagios instance can monitor. Using certain plugins, it is possible to set up a distributed Nagios hierarchy. Certain servers within the structure are then resposible for actively checking the devices. These servers are called collectors. The results they gather are then forwarded to a central server, which runs the web-interface. This server is called the monitor server. It is typically also responsible for sending out alarms. NConf is a web-based tool which allows users to manage the complete configuration of their Nagios setup. Is is specifically aimed at large environments, but can naturally also be used for small Nagios installations. One of the main benefits is that NConf allows users to define templates and presets, which can be applied when adding hosts. A host-preset contains all services to be added to a host, with all commands linked and all default values already set. It also contains the host-alive-check to be applied to the new host. All a user must do after adding a host is to tweak certain parameters, if necessary. A host is always linked to a collector. When the config is generated, all hosts linked to the same collector will be written to a file, including all their services and additional dependencies. Hosts not assigned to the same collector will be written to a different config file. This way, each collector will recieve its own set of config files. It will only monitor hosts assigned to it, all other information is disregarded. This increases performance. Information about all hosts is summarized in the monitor config. Performance is not an issue here, since the monitor server does not do any active checking.